Bibens Ace Hardware is more than just a hardware store, so we are proud to also offer Carhartt apparel: pants, shirts and outerwear at an affordable price. We at Bibens Ace can outfit you in top-of-the-line durable Carhartt apparel for less. Already own a pair and need to break them in? Check out this VIDEO for some tips from Carharrt! Check out www.carhartt.com for more information on Carhartt apparel. We can always order something specific right here in our store! Click HERE to visit our Springfield location page, or HERE to visit our South Burlington page where we proudly carry the full line of Carhartt apparel. The year 1889 was a time of steel, steam, and locomotives. It was also when Hamilton Carhartt & Company was founded by its namesake (known affectionately as “Ham”) and began producing overalls with two sewing machines and a half-horsepower electric motor in a small Detroit loft. Early failures led Hamilton to focus heavily on market research, and after talking directly with railroad workers, he designed a product that truly fit their needs. 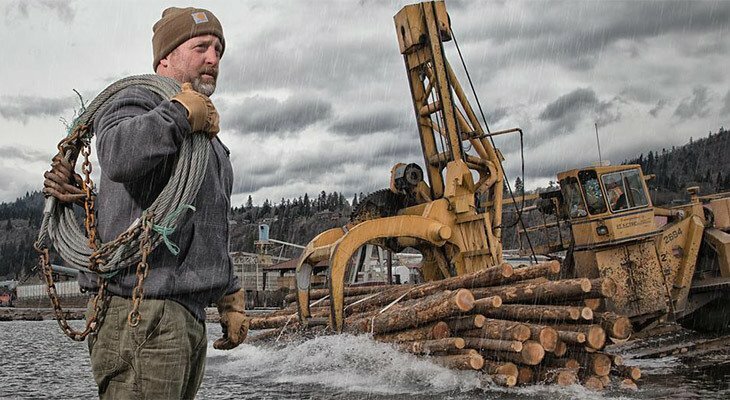 Under the motto, “Honest value for an honest dollar,” the Carhartt bib overall was created and rapidly evolved into the standard for quality workwear. In addition to bib overalls, many garments in today’s product line have historic roots. The Carhartt Archive holds ads for the legendary Carhartt Chore Coat (known historically as the “Engineer Sack Coat” or simply the “Coat”) dating back to 1917. The coat remains largely unchanged to this day. Upon Hamilton’s death in 1937, his son Wylie became president of the company. Wylie played a crucial role in the “Back to the Land” program, which led to the opening of new operations in rural Kentucky. Four sewing and cutting facilities are still operating in Kentucky and Tennessee to this day, and the original Kentucky factory – completed in 1932 – now houses the operations center for Carhartt’s supply chain. Wylie was also instrumental in creating Carhartt’s first outdoor wear products: the Super Dux and Super Fab hunting lines of the early 1930s. Wylie’s daughter, Gretchen Carhartt, married Robert Valade, who assumed leadership of the company in 1959. In 1972, Robert Valade, Vice President of Sales Gust Feles, and Executive Vice President of Manufacturing Don Rasinen formed a nucleus that changed the face of Carhartt forever. They purchased Carhartt’s first “modern” production facility and were able to do a significant private-label business for several stores including Sears, J.C. Penney, and Montgomery Ward. This provided Carhartt with the necessary revenue to continue to expand its production. In 1975, the heavy duty hooded jacket, dubbed the “Active Jac,” was introduced, and the style remains the top-selling jacket for Carhartt today. In 1996, Mark Valade, Hamilton’s great-grandson, became the president of Carhartt. Under Mark’s leadership, Carhartt has established operations in Europe and a global eCommerce business. He launched dozens of Carhartt-owned retail stores, a full women’s line of products, and the extremely successful line of flame resistant garments. Ever the visionary, he introduced new technologies such as Quick Duck®, Storm Defender®, Rain Defender®, Carhartt Force®, and Carhartt Force Extremes®. In 2013, Linda Hubbard assumed the role of president, becoming the first non-family member to hold that position. Mark still serves as chairman and chief executive officer, while his mother, Gretchen C. Valade, remains chairman emeritus.